My mother was recently put on diabetes medication. 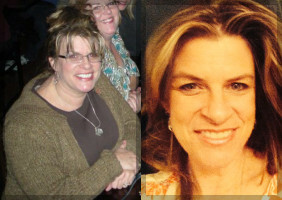 I had fluctuated weight for the last 13 years by 40 pounds (yo-yo). I didn’t exercise and my job was extremely high stress. I had high cholesterol for the first time. I didn’t sleep often or well. I was grouchy. I didn’t want to end up on meds for behaviors that were controllable. My short term goals achieved. I lost 16% body fat in 14 weeks. I drink lots of water vs. coffee/Diet Coke all day with possibly a glass of water thrown in. I’ve slept every night, and slept well. I am no longer addicted to sugar. My cholesterol is lower. I’ve been able to reduce dosage of the medicine I take. I want to work out and better manage stress. I’m the healthiest I’ve been in my life, and down 3 sizes. Matthew doesn’t let you make excuses. He finds out your goals and gives you truths that help you reach them. He genuinely cares, and is available any time. He listens. He pushes you, but in a gentle way. He doesn’t shame or embarrass you.